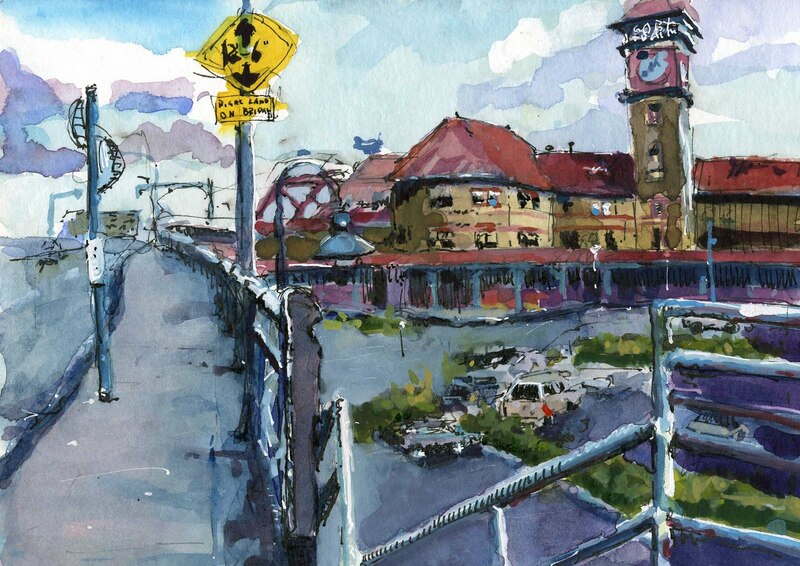 The Portland Train station from the on ramp of the Broadway Bridge. I sat on the first step right there two Saturdays ago! It just barely rained. How did I miss you?